In the heart of the tranquil region of Guadalteba, in the province of Malaga, lies this beautiful town, which was of great importance during the Reconquest of Spain due to its strategic position on the border with the kingdom of Granada. A singular historical incident led Tebo to be twinned with the Scottish town of Melrose. Tebo possesses a rich medieval past, as demonstrated by its castle which towers over the town, and its many majestic houses and small palaces. In Teba there is a monument dedicated to a Scottish gentleman who fought (and died) alongside the troops of the Christian King Alfonso XI in the conquest of the region from the Arabs. This is the monument dedicated to Sir James Douglas. Today, his home town, Melrose, is twinned with Teba. The Castillo de la Estrella ("Castle of the Star") is the main monument in Teba. It has been declared a National Heritage Monument of Historical and Artistic Importance. It is the biggest castle in the province of Malaga covering 25.000 square metres. In the 15th century, in the midst of the Christian Reconquest of the Iberian Peninsula, the castle was of key strategic importance. In the castle itself you can visit the Performance Centre "Una Cruzada en el Guadalteba" ("A Crusade in the Guadalteba"), to discover the historical value of both the castle and the town in the 14th and 15th centuries. 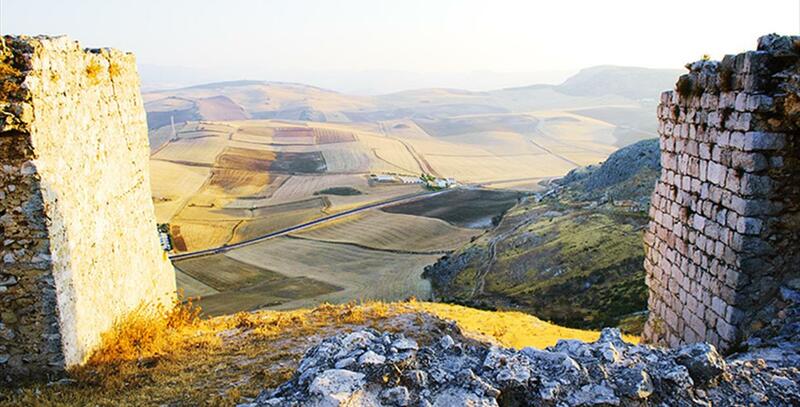 Important findings have also been made on Teba"s soil, which can be seen in the Archeological Museum. Particularly worth seeing are the Punic and Iberian ceramic pieces, found the the Cave of Doves ("Cueva de las Palomas"), or the Roman busts of Tiberius Caesar and Julio Claudio Nerón Tiberio found in the Tagus Grange ("Cortijo del Tajo"). In the streets of Teba you can find beautiful noble constructions such as the archway to the house of the Empress Eugenia de Montijo and the Small Palace belonging to the Marquess of Greñina. Another must is the Church of Santa Cruz, a baroque work of art by the master builder responsible for Seville"s Cathedral. The Church stands out for its red marble columns from El Torcal in Antequera. Similarly, in the parochial Museum, you shall find, amongst other pieces, three chalices, Isabel la Católica"s garments and a Roman Missal from 1679. The religious architecture of Teba would not be complete without the Convent of San Francisco and its beautiful front, from the 15th century, and the hermitages of Nuestro Padre Jesús Nazareno and Nuestra Señora del Carmen. There are two options to get to Teba by car from Malaga. The first is to take the A-357, the A-367 and the A-7278 until the turnoff to Teba. This route should take approximately 1 hour and is 70 km long. The other option is longer both in distance (93 km), and time (approximately 10 extra minutes), but the first 40 km will be on the motorway, the A-45 and a small section of the A-92, and the second section on the A-384 and MA-467. The bus is another alternative to reach Teba. From the bus station in Malaga, on Paseo de los Tilos, take the Malaga - Olvera line, which stops in Teba. This should take 1 hour 15 minutes. Teba is particularly attractive to sport lovers. The Guadalteba reservoir offers many opportunities to practice water sports. 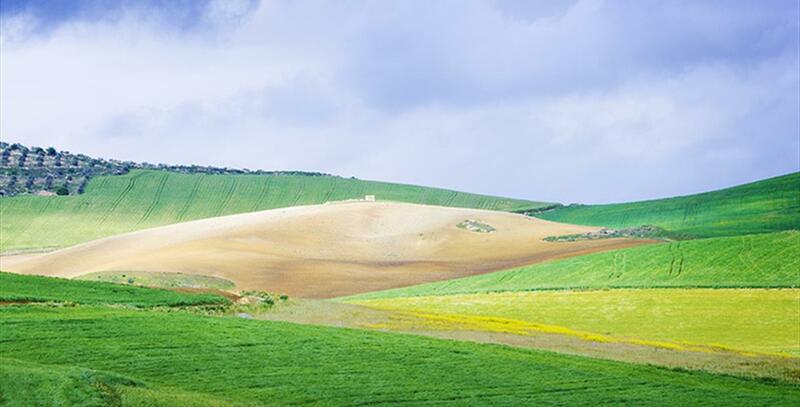 In Teba, one can also enjoy the bucolic hills of the Sierra de Peñarrubia, ideal for hiking. El Tajo del Molino, in the bed of the Venta river, in a gorge of such beauty that it begs a visit. 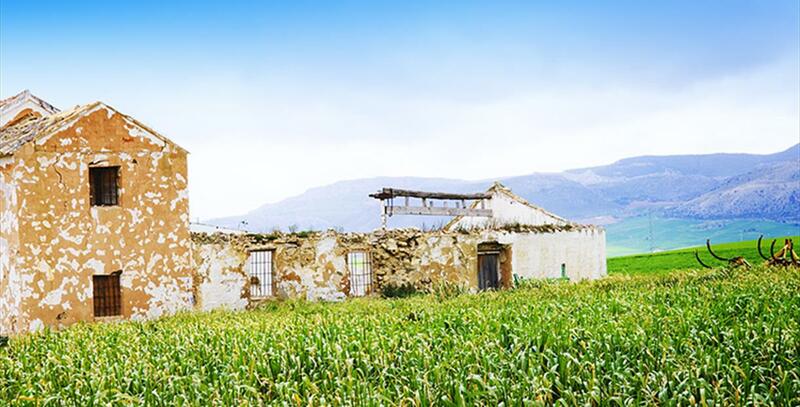 Other interesting routes for hikers include the region of "La Puente" and the mountains which surround the village of Teba: Camorra, Camorrillo, San Cristóbal and el Castillo. Since 2005, in early August, Teba celebrates some original Days in remembrance of Sir James Douglas with period parades and an extensive participation from the British community in the Costa del Sol. The most important festivals of the year in Teba are those which celebrate the town's patron saint, San Toribio, on the 10th, 11th and 12th August, and those dedicated to its female patron, la Virgen del Rosario, who, on the 7th October, parades through the village"s streets. In May, Teba also celebrates the pilgrimage of San Isidro, in a charming spot on the banks of the Guadalteba, and in July, the festivities of the Virgen del Carmen, like many other towns in Malaga. In October, a great gastronomical event takes place in Teba which pays homage to the local fresh cheese industry: the Fair of Artisanal Cheese. This event brings all the local cheese makers of the Guadalteba region together, along with a great number of visitors who can taste and purchase a high quality product. The area possesses a long tradition in elaborating artisan products such as must or creamy goat cheese, which, as previously mentioned, are also sold at fairs. With regards to the most traditional recipes of Teba"s cuisine, it is worth mentioning "olla" (a substantial vegetable and pork stew), porra (cold cream mostly made with tomato), "jervía" soup and "lavapuertas" (both soups are made from a garlic and bread base). Other gastronomic specialities include asparagus stew or sheperd"s lamb. 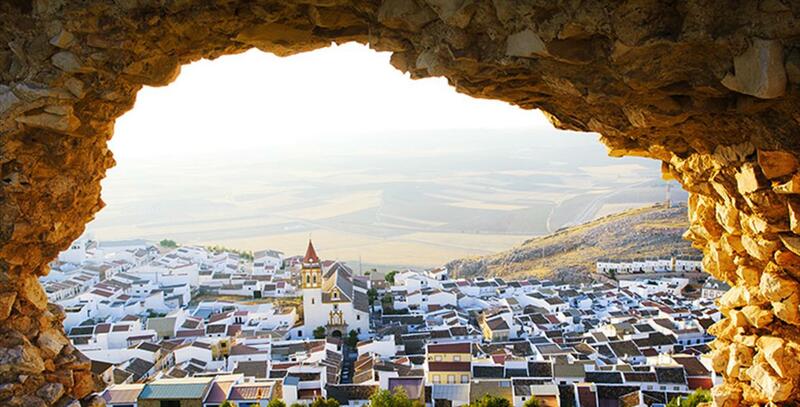 Evidence found in the Cave of Las Palomas and El Pilarejo suggests that Teba has been inhabited by man since prehistoric times. However, the first significant settlement dates back to Roman times. The old town of Attegua was one of the stages where the civil war between Julius Caesar and Pompey unfolded. With the arrival of the Arabs, the village was moved to its current location, known as "Ostippo" or "Ostebba". The Arabs expanded and strengthened the old Roman fort, which served as a defensive bastion until the village was seized by King Alfonso XI of Castile. In Historia General de España, Juan de Mariana mentions the fact that Teba never went back to the hands of the Muslims, despite several attempts to regain. One of the most amazing facts in the history of Teba took place during Alfonso XI"s battle against the Arabs to seize the castle. One of the men fighting for the King of Castile was Sir James Douglas, a knight loyal to King Robert I of Scotland who came to fight for the Christian army. He was killed in battle. There is a commemorative slab in Teba sent by his descendants from Melrose. This is a powerful link between the Scottish town and Teba.